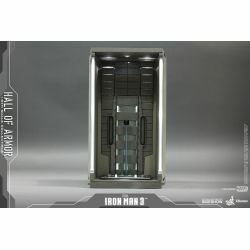 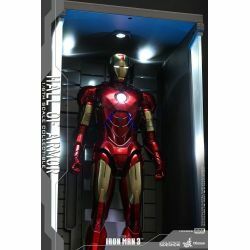 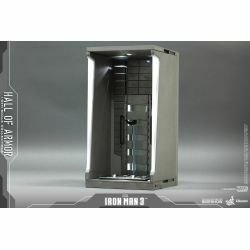 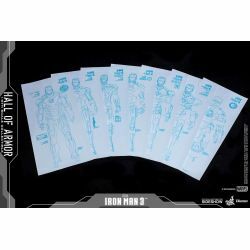 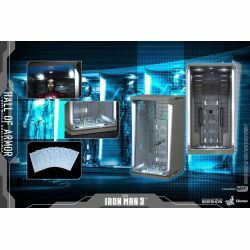 Hall of Armor Hot Toys DS001A : sixth scale action figure accessory Hot Toys collectible of Hall of Armor, diorama as seen in the Marvel Comics movie Iron man 3. 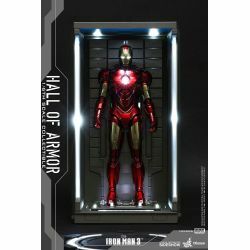 Hot Toys is excited to reissue the stylish sixth scale Hall of Armor Collectible from the Diorama Series inspired by the movie Iron Man 3 ! 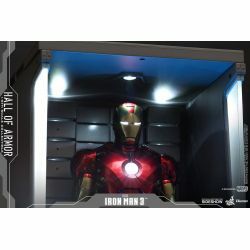 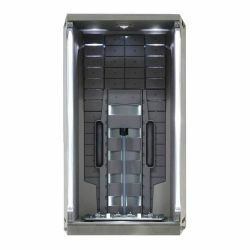 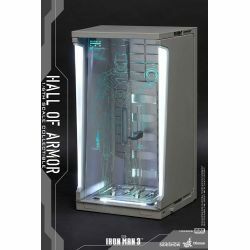 What's in the box of Hall of Armor Diorama Hot Toys DS001A ?